Collectors of vintage books will tell you that dust jackets are worth more than the book. A tight spine, the color of the paper (white, off-white, cream, yellow or tan) and the overall condition of the book are factors when grading the condition... and thus the value of the book. But in many cases where print runs were so large that the books today are a dime a dozen, the dust jacket is worth more. 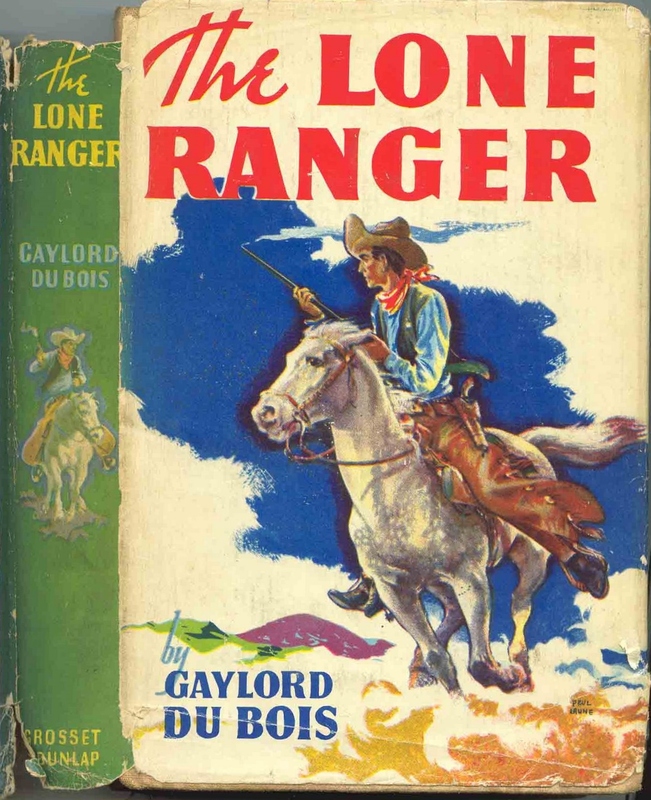 At fan gatherings, The Lone Ranger (1936) written by Gaylord Du Bois, is worth about $5. The Fran Striker version of the same novel (with only minor tweaks from the Du Bois version), is worth the same. At a recent convention, however, I noticed how the price tag (asking price) was $125 for the very same book. The buyer and seller were negotiating the selling price and I overheard the seller mention, "the binding is still tight." Whereupon the buyer remarked, "I am not interested in the condition of the book. I have four of them at home. I am basing the price on the dust jacket." Afterwards, the two men weighed justification on both sides on the condition of the dust jacket. Serious collectors have two of the same book. One for reading (considered a beat-up copy) and one for collecting. No serious collector spends money on graded quality without an interest in reading the very materials that he would not dare to risk damage for want of the printed page. Many buy plastic sleeves that wrap around the dust jacket to ensure no further damage comes to the paper. (You have probably seen this done to hardcover books with dust jackets at the public library.) And you can recognize a serious collector someone continues to upgrade their collection with books they already have, when purchasing another of higher quality, intending to sell the lesser one. Knowing just which covers are more valuable is dependent on print runs and the demand. The Gaylord DuBois cover of The Lone Ranger, for example, is more sought after than the Fran Striker version. According to a recent article in The Journal of Antiques and Collectibles (July 2016), a first edition of The Great Gatsby without the dust jacket has been known to sell for $3,000. First edition with the dust jacket, depending on the condition of the dust jacket, sells for $30,000. Today's technology offers a challenge to the collector. There are multiple companies that now manufacture practically any dust jacket you want. High quality facsimiles, with the wonders of photoshop to eliminate any blemishes from the scanned original, have become a new industry of recent. For many, there is nothing wrong with this practice provided the reproduction is disclosed. When a dishonest vendor attempts to pass one of these reproductions off as an original, the old adage is applied: buyer beware. The photos below reveal how some of the movie studios attempted to promote their movies by licensing stills and artwork for books sold in the stores. Publishing companies felt this would lead to additional book sales. It was a joint venture for both. 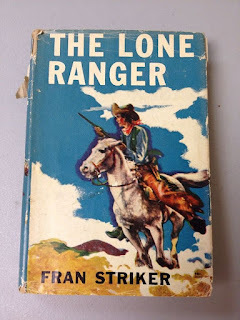 Fans of old movies find the editions with their book jackets more challenging to collect. You can buy a copy of Frankenstein for mere pennies these days. But a version published in 1931 with a dust jacket promoting the Boris Karloff movie? Dig deeper into your wallet for that one. But if Frankenstein (1931) is your movie of choice, a room in the house designated as a shrine for all things related to that movie, you are only going to buy this book once... so upgrading over time adds bragging rights. In 1933, the screenplay to King Kong was adapted into a novel and there is a sequence regarding a pit of spiders and large insects devouring the sailors. That scene is not in the finished movie but you can read a dramatization in the novel. These are just mere examples and the science behind this fascinating hobby is a book in itself. Needless to say, if you are ever in a used bookstore and contemplating whether or not to buy a book that is tempting both your eyes and your wallet, don't flip a coin. If the book has a dust jacket, do not hesitate; the decision is made for you.